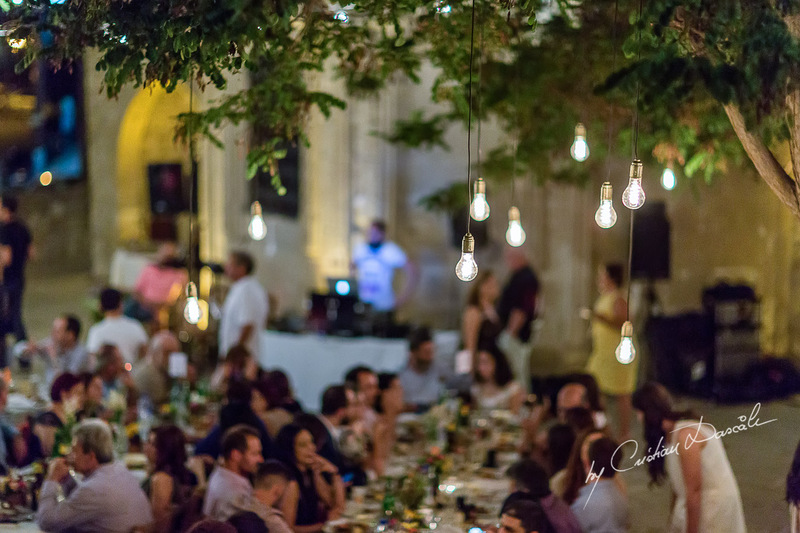 There are numerous ways you can throw a traditional Cyprus wedding, but there are only a few ways you can incorporate the actual traditions in the event. 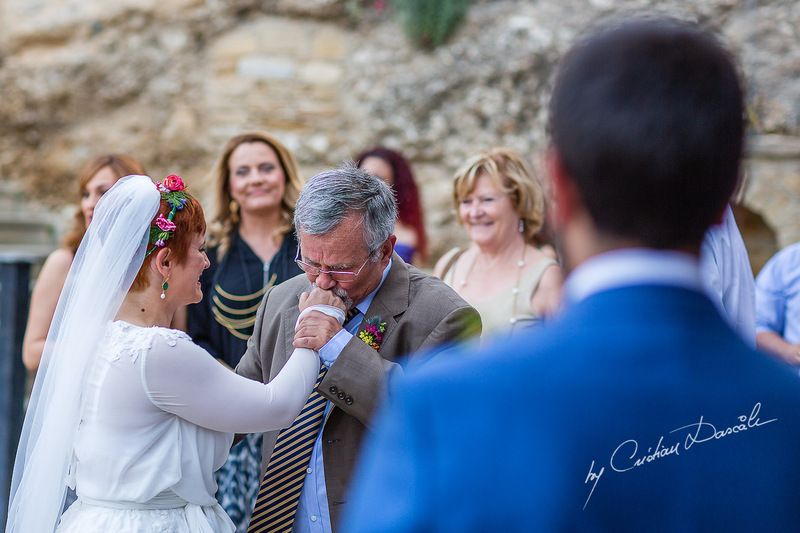 You see, these traditions that surround the wedding couple, include the best man (koumbaros) and the chief bridesmaid (koumbara), the bride and groom’s families, as well as their friends and often times the entire village. 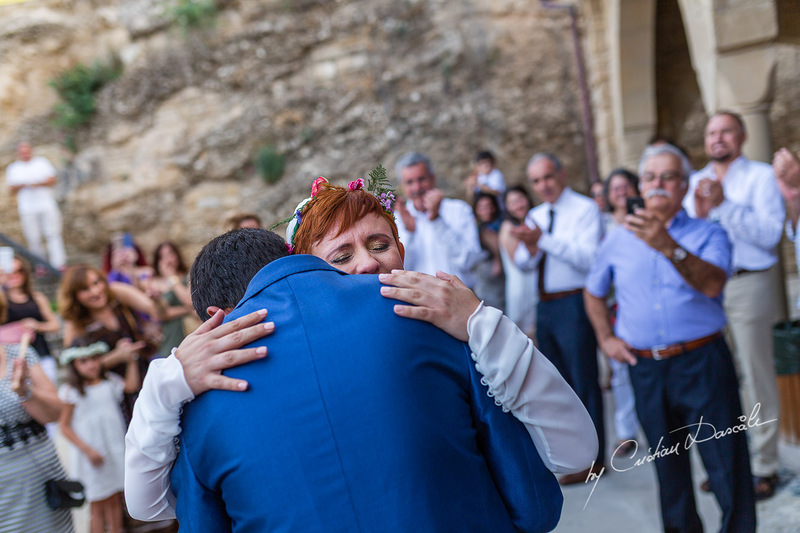 Besides all of this, a local Cyprus wedding will include plenty of rituals that symbolize the couple’s love and commitment both to each other and to the place as well. Glistarkes: This is the ceremonial bread which is handed out as a wedding invitation by the bride’s family. Kouloruia: a specialty served at the reception. 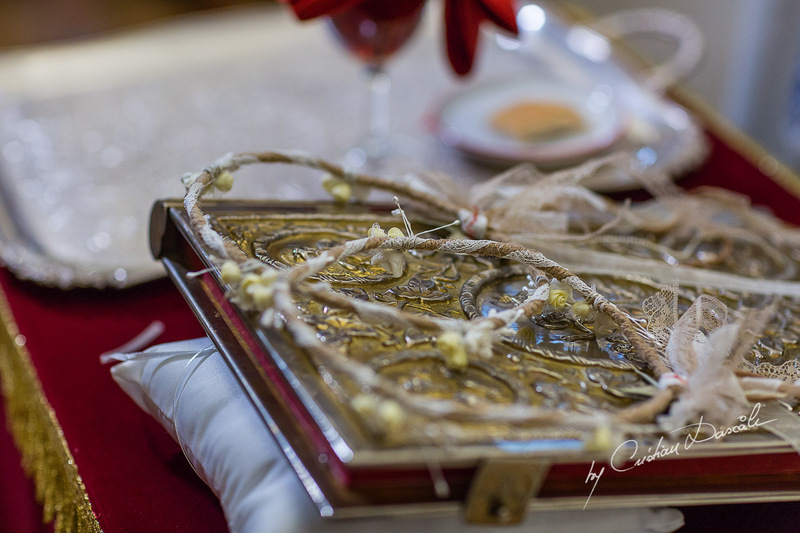 Prosfora: A special bread that is given to the bridal couple by the priest; the prosfora also accompanies the famous Cypriot red wine during the religious ceremony. Koufetta or sugared almonds are given to the wedding guests by the bride and groom as they leave the church as man and woman. After the soon-to-be bride and groom are engaged, their parents gather at the home of the bride and offer their blessings to the new couple. The groom’s family takes up the task of preparing the traditional glistarkes, a sesame-coated type of bread that the bride’s family will hand out as wedding invitations. On the wedding day, after the bride is all dressed up and ready to leave for the ceremony, her parents, chief attendant and close friends gather around her and wrap a red scarf around her waist in order to symbolize her virginity. 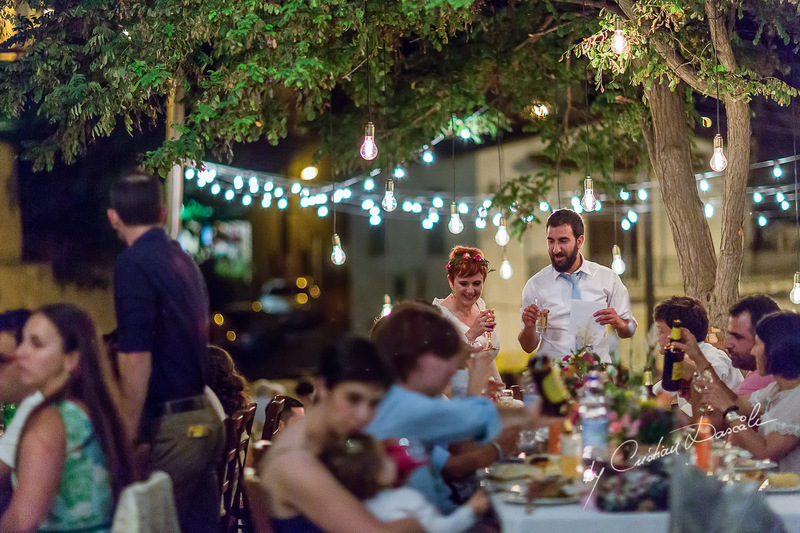 All of this happens while musicians delight them with beautiful traditional wedding songs. Naturally, a similar ceremony takes place for the groom as well, only this time, his best man (koumbaro) proceeds to offer him his last shave, under the loving gaze of his friends and family. After the shaving, the koumbaro dresses the groom in shirt, waistcoat, cravat and dark suit while the music is playing. Afterwards, a red scarf is wrapped around the groom’s waist in order to declare his fertility. The soon-to-be husband now makes his way, along his family and companions to the bride’s house, and then they all head to the church. Depending on the location of the wedding, a proper change in clothing and traditions is in order. 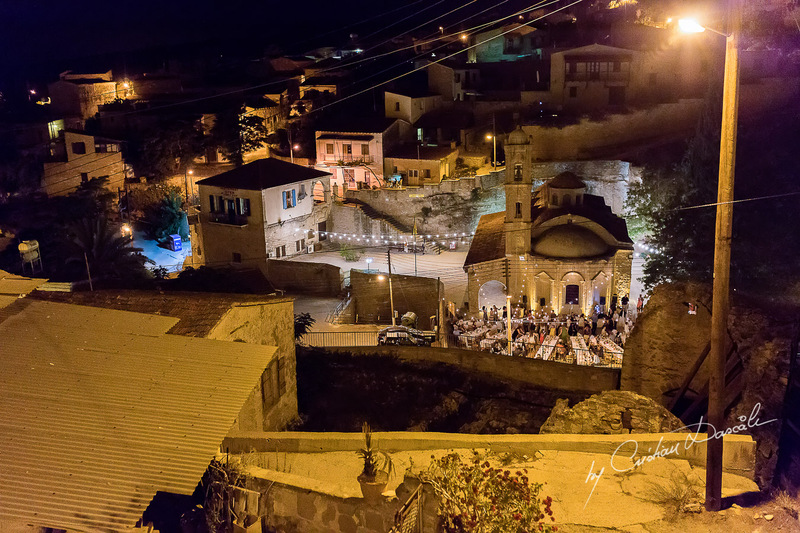 So, if we’re talking about local Cyprus weddings, they usually take place in a village. In this situation, the bride will wear a gown that will cover the top of her arms, and the bridal party will walk to the church. If the wedding takes place in a larger town, then the bride will wear a short or long evening dress. Also she and her father will arrive at the church by car, limousine or a horse-drawn carriage while the guests will eagerly await them outside the church entrance. Upon entering the church, the bride’s parents will give her away to the groom, who will present her with her bouquet. Then, the two will walk up the aisle together under the eyes of God. However, they will not be alone, as their parents will join them and stand by them throughout the religious ceremony. 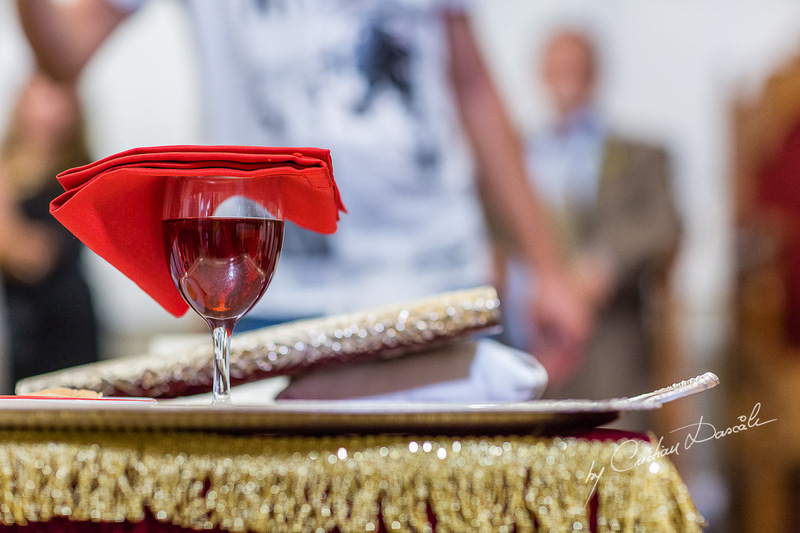 During the ceremony the priest will serve the couple the ceremonial prosfora (bread) to eat and koumandaria (red Cypriot wine) to drink, symbolizing the wedding at Cana in Galilee. According to the Bible, that is where Christ blessed the marriage and turned water into wine. 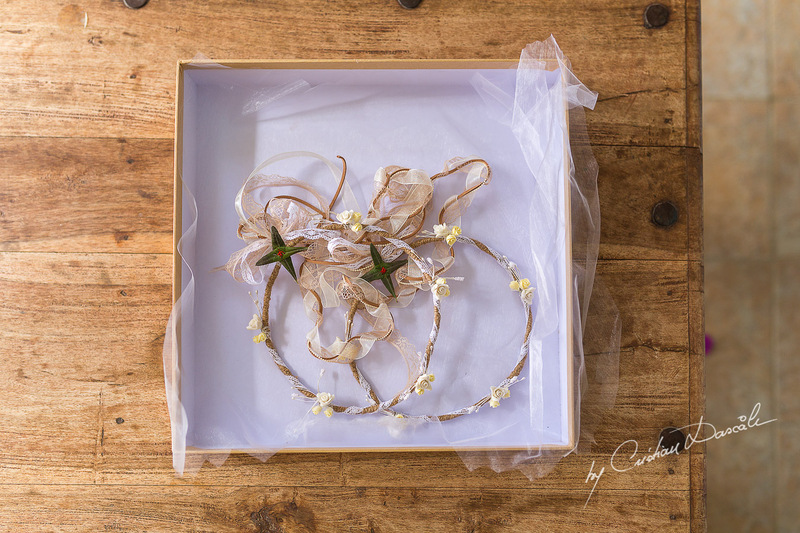 The Chief Bridesmaid will place a stefana (ceremonial headband) on the bride’s head, made out of various traditional materials such as lemon leaves, olive branches, vines and even gold and jewels which symbolize God’s blessings. The best man does a similar thing for the groom, by placing a headband on his head as well. 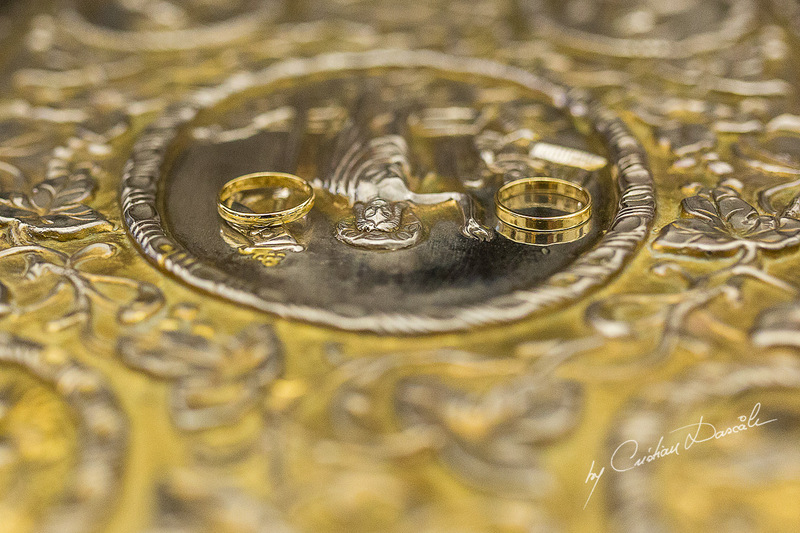 In an Orthodox service, the priest will chant a prayer over the newlyweds and their stefana, pouring all of God’s blessings onto their upcoming life together and wishing them all the best for their future family. The marriage crowns from the religious ceremony are very important to the couple. For this reason, many of them choose to keep them and put them on display in the new home. Some even choose to be buried with them. Then there is a ribbon that binds the two crowns during the religious ceremony. This ribbon symbolizes the ever-lasting union between the two and it is advised that they keep it intact forever. Since the crowns are invested with such importance, brides nowadays tend to ensure that the stefanas are matching and also opt for custom bridal jewelry made out of the same fine materials: pearls, silver and Swarovsky crystals. While the couple is wearing the stefana, they exchange the wedding rings three times before placing them on the fourth finger of each other’s right hand. They do this in order to emphasize that God’s right hand is the one that blesses. After they exchanged their wedding rings, the couple performs the Dance of Isaiah, in which the priest is leading them three times around the table that holds the Gospel and the Cross. The best man and chief bridesmaid walk behind the couple, making sure that the stefana will remain in place. Upon the completion of the dance, the priest blesses the couple one more time and removes the stefana asksing God to grant them a long and happy life together. Finally, he separates the couple’s joined hands, showing them that it is only God who can separate them. At this point, the bride and groom are now officially married. As they exit the house of God, the bridal couple presents the guests with sugared almonds known as koufetta. The koufetta abounds in symbolism as well. Their egg shape represents fertility and the new life that begins with marriage and their firm texture a metaphor for the endurance of an everlasting marriage. The sugarcoating represents purity and the sweet promise of future life. Also, the almonds are offered in an indivisible, odd number, to further emphasize the indivisibility of the new union. On the other hand, the single women will share the almonds and the red ribbon and place them under their pillows at night in order to dream the man they are destined to marry. As the husband and wife leave the church, the wedding will toss rice at them while wishing them a long life filled with happiness, prosperity and healthy children. If the wedding is successful, the reception may well last until the early morning hours, which is not something uncommon. 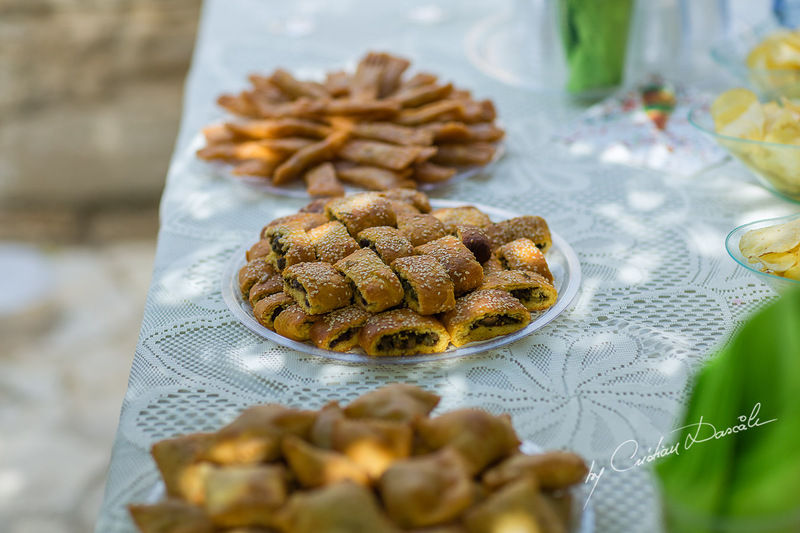 Between dancing and having the time of their life, guests can enjoy another traditional Cypriot food, such as the koulouria – a ring-shaped cookie or biscuit sprinkled with delicious sesame seeds. Also, early in the festivities, the unmarried friends of the bride will write their names on the bottom of the bride’s shoes. At the end of the evening, when the bride takes off her shoes, only one name will remain written on the sole. That will be the next woman to marry! Halfway through the reception, the couple walks up to the dance floor to perform their very first dance as husband and wife. This is the point where their guests have the chance to pin money to the couple’s clothes in order to help them pay the wedding expenses and start their marriage debt-free. At the end of the evening, in a fashion similar to many other cultures, all the single ladies gather on the dance floor as the bride throws her bouquet. Rumor has is that whoever catches the bouquet will be the next to marry. 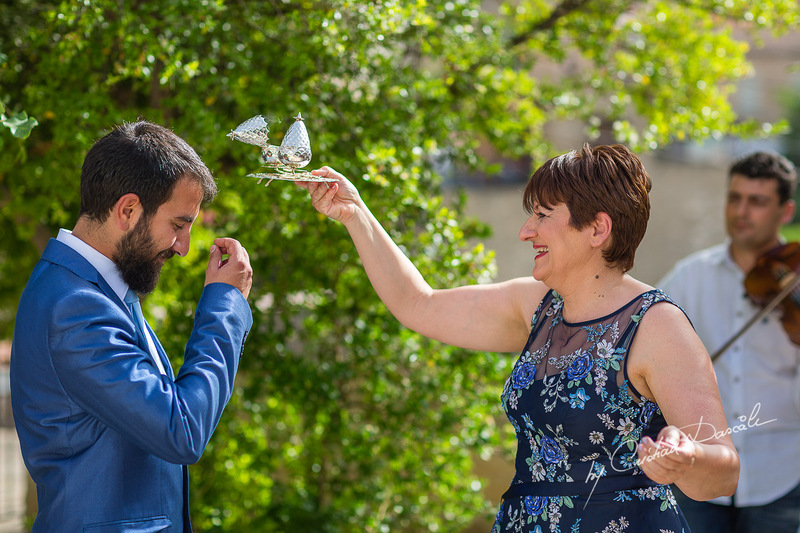 A similar tradition is carried out by the groom as well. He descends underneath the bride’s wedding dress and removes with his bare teeth a ceremonial garter. Afterwards, all the single men gather around him to catch the garter. Whoever catches it will be the next one to marry. 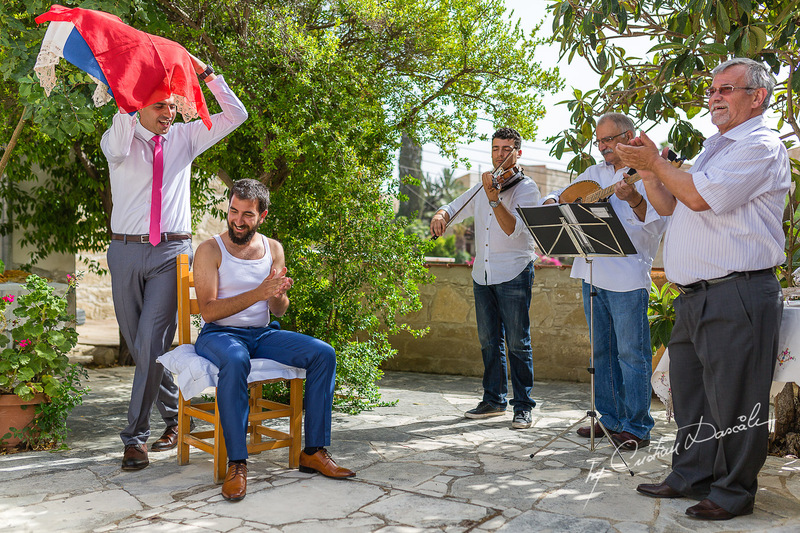 If all of this sounds magical and you too wish to live the experience of a traditional Cyprus wedding, then finding someone who can capture its essence and spirit is the first thing to do! 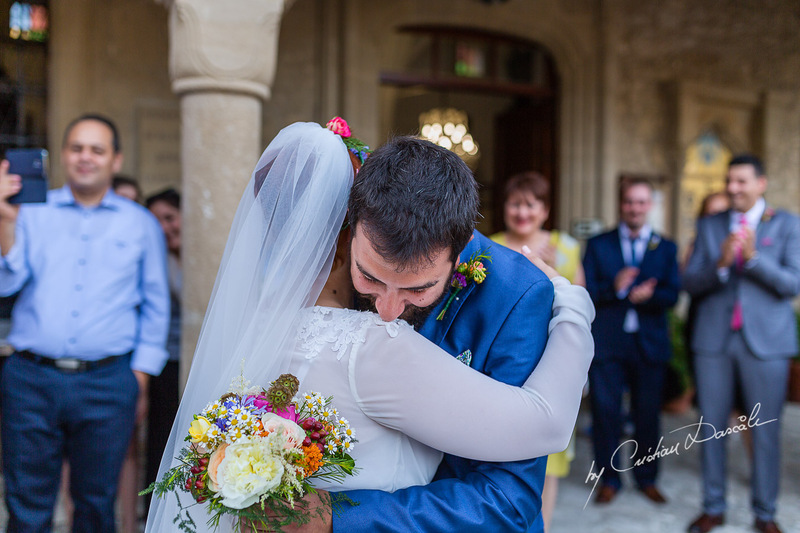 Therefore, if you are interested in hiring a local Cyprus wedding photographer who can deliver impressive photographs filled with sentiment, feel free to contact me for a custom quote.